Often at the start of a new year we feel energized and motivated to make some changes. New year, fresh start, clean slate. We may come up with a list of resolutions, and maybe we feel certain that this is the year, this is going to be the one when those changes stick. We will lose those 20 extra pounds. We will establish a good exercise routine. We’re going to have a consistent daily prayer time. We will change the way we eat and eliminate junk once and for all. But then a few weeks go by, and what happens? We joined a gym and went faithfully — for 3 weeks. We cleaned out our kitchen cupboards of carb-heavy food — and already you’re lined up at the drive-thru for a fast food dinner. It’s wonderful to start the race. 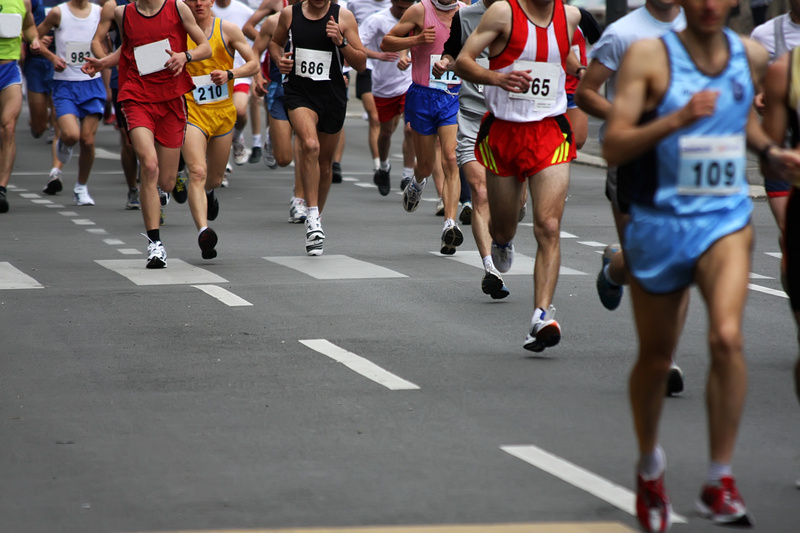 Wow – look at all of those runners pouring out of the starting line (like in a marathon). But the whole point is to finish. We’ve got to finish the race. How do we do that? We pray for the grace of perseverance. That is a grace we need to ask for often. We are not going to stick to any good and needed change in our lives unless we get God’s help to do that. The next point — forget the lofty, overreaching goals that are so tempting to make. Start with little changes and adjustments. Instead of going from couch potato to elite athlete, start with walking more. Instead of making a goal to pray for an hour in the church each day, start with 10 minutes in an armchair at home. If we make little goals that are more achievable, we will get encouraged because we see ourselves staying faithful to them. That will build momentum in us and perhaps motivate us to make another little change. There was a movie in the 80’s called The Karate Kid. It was about a scrawny kid who was bullied and getting beat up. He wanted to learn karate so he could fight back. So he goes to this old karate master who agrees to teach him. The boy can’t pay so the master gives him chores to do: wax the car, but only in a certain way. Then other chores — but only done in a specific way. Week after week, this boy is faithfully doing these chores but he’s impatiently waiting for the real training to begin. Finally, he gets angry and says he quits – he’s not learning anything about karate. Suddenly the master starts to fight him, and the boy instinctively defends himself, automatically knowing what moves to make. Why? Because all along the master has been training him. All those chores which seemed meaningless, now come into play. All those movements, learned and repeated, are now helping the boy and he’s well on his way to becoming a karate expert. Take a look at your life now and see what good habits you already have in place, even if they don’t seem important. do you cook a good meal once or twice a week? do you pray for a safe trip every time you get in the car? Wherever you find that you have a good habit already in place, add a little more to it. After making your bed, spend 2 minutes tidying up the room. When you cook a meal at home, double it and you’ll get another healthy meal for the week. When you arrive safely at your destination, stop and thank God for another safe trip. Don’t underestimate the power of these small, incremental changes. Just like the Karate Kid, you can be building up inner strength and better habits by making simple, seemingly insignificant changes that will help you persevere in running the race until the end. Have you already gotten discouraged with yourself? Have you thrown in the towel? Let me share with you a story that Mary Ann told me once about watching the Winter Olympics many years ago. 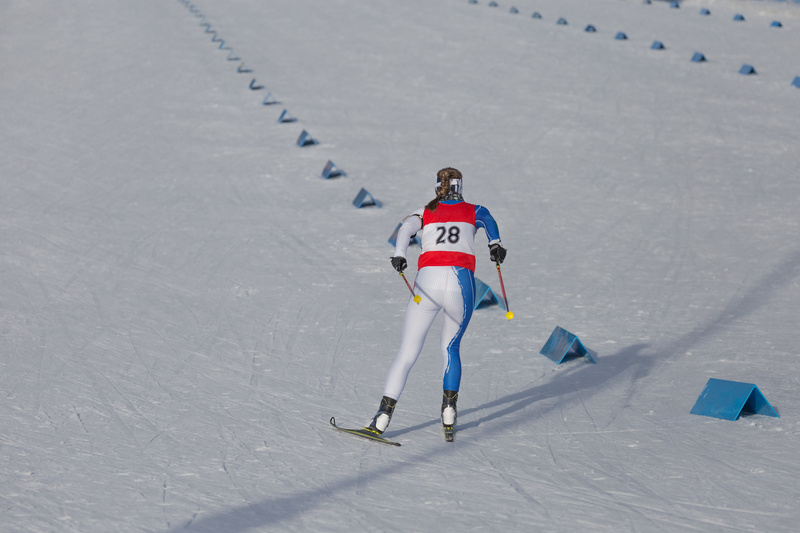 There was a cross-country skiing event, and one of the athletes was from Mexico — obviously not a country known for its snow skiers. During that Olympic cross-country race, all of the competitors had finished. Three whole days later, after the race was long over, this guy from Mexico crosses the finish line. But she said he got more cheers and fanfare than any of the other racers, including the winner, because he had persevered and finished when so many others would have given up. It doesn’t matter so much how many times we fall or get detoured, but do we get back up and keep trying? Let’s fix our eyes on Jesus, dust ourselves off and get back into that race.